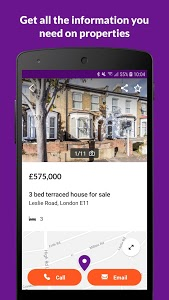 Zoopla proudly introduces property search as you've never seen it before. 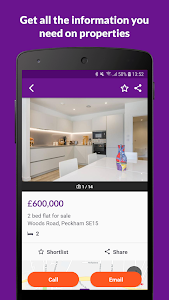 Still the most comprehensive way to search houses for sale and rent, the all new modern looking and intuitive dashboard makes finding the perfect home simple. 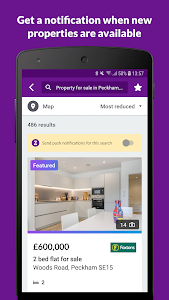 With hundreds of thousands of listings, our new app personalises your property search for everyday ease-of-use. 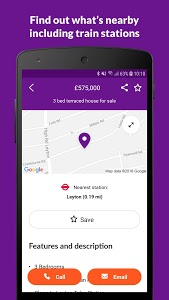 Search houses on sale, rent a house or check house prices all from the free Zoopla app which makes it easy to access the most up-to-date market information, either at home or on the go. 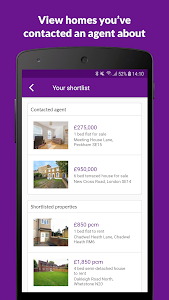 Whether you’re looking to buy homes, or want to find a property to let, our app lets you search homes and view home values, as well as letting you contact estate agents, to help you make the smarter property choice when it comes to buying houses. On the move? 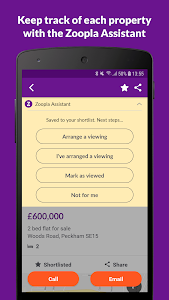 Zoopla's app uses your GPS to instantly search houses on sale, find apartments to rent and even discover new build homes in nearby locations. It’s easy to find and buy homes for sale, check house prices or discover property to let in your perfect location. Searching for a holiday home to buy? No problem. The Zoopla app also includes properties for sale overseas, so buying houses abroad and finding your dream international property is easy! Looking for a commercial property? 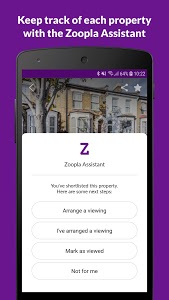 Now you can use the Zoopla app to discover thousands of commercial properties for sale and to rent throughout the UK. 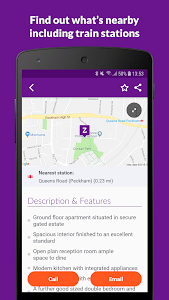 * Map View: See your search area to help you pin point your perfect location for your house or apartment search, even for international property. * Personalised Property Alerts: Create alerts for your desired location to be alerted as soon as new properties and homes to buy are available. * Custom Searches: Filter the search results for a personalised search of houses or find apartments or flats based on your exact needs. 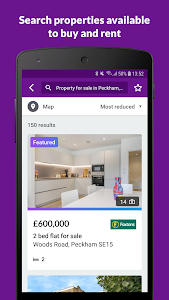 * Keyword Searches: If the filters aren't enough, you can create your own using a keyword search, quickly and easily listing homes for sale and rental property according to your criteria. * Photo Slideshows: Swipeable large image slideshows of houses on sale. * Local Area Info: See the average house prices and home values, sold prices and average asking prices in your areas of interest. 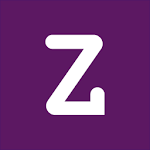 * Cross-device Access: Sign into your MyZoopla account to access your saved houses on sale or apartment or flat searches across all of your devices. * Connect w/Agents: Click to call buttons to help you connect easily with agents for more information on your dream house to buy or house prices. 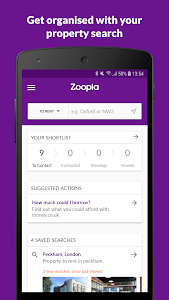 Tip: Zoopla will keep you updated when new homes to buy or property to let that meet your criteria come on the market. Save a search to get started. Similar to "Zoopla Property Search UK - Home to buy & rent"